This time, we are going to enjoy a 100% classical evening with Mozart as the star of the evening. Amazing performers, amazing hall, amazing music. How it could be better than so? All the fame, again, belongs to our friend Verena who makes this events true and also arranges the discounted price for our members. Andrea Barca – one of Mozart’s contemporaries – dedicated most of his artistic career to interpreting the latter’s piano works. Thus, choosing him as the namesake for the ensemble of international soloists and chamber musicians assembled by András Schiff was a logical step, given that Mozart’s works are also among the core repertoire of the Hungarian-born piano virtuoso and his Cappella. 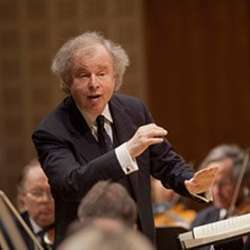 The program chosen for the Palace Concerts – the Symphony No. 39 in E flat major (»Swan Song«) and the Piano Concertos Nos. 15 and 17 – consists entirely of works illustrating Mozart’s boundless imagination, while also pointing ahead to Ludwig van Beethoven and the perfection of classical form.